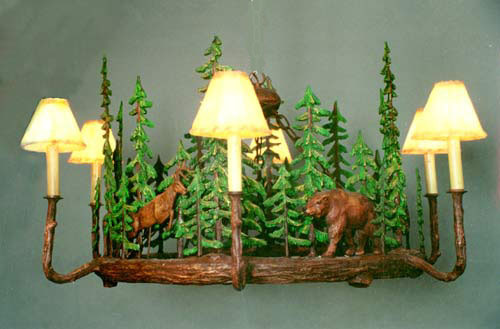 Description: PINE FORREST Chandelier. Look closely at the picture. There are animals in between the pine trees. (Your choice of moose, deer, buffalo, bear or stag). Takes six 60 watt bulbs and has drip candle covers. Resin &steel. Shades extra.